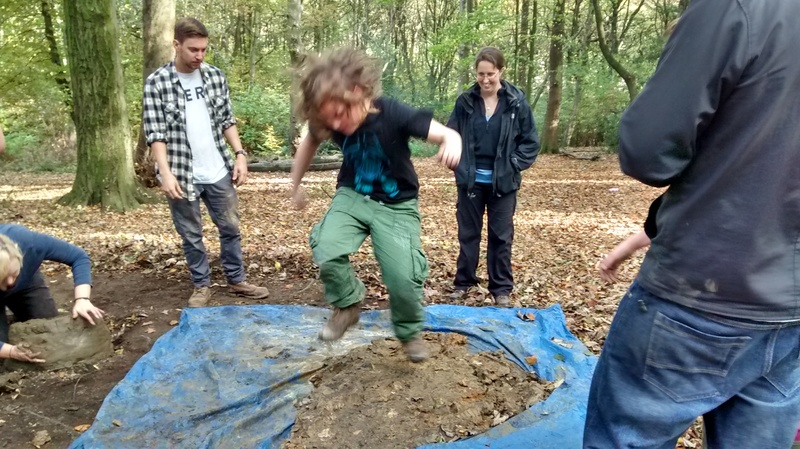 I am a member of Friends of Wincobank Hill, a teacher, youth worker and a Forest School leader. 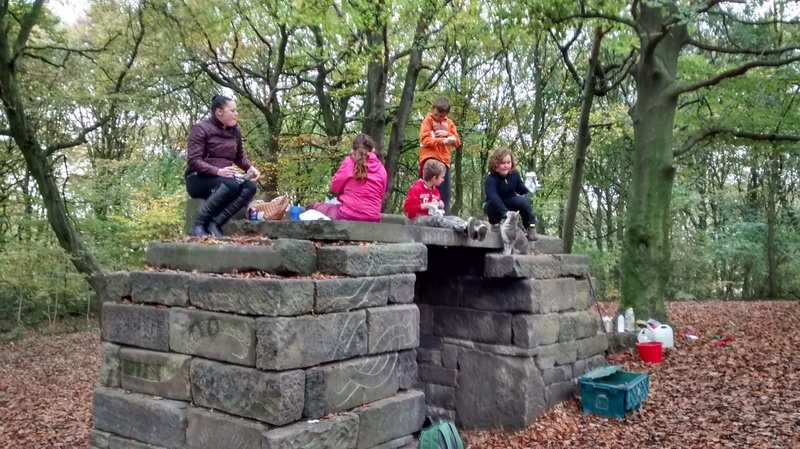 I love Wincobank Hill and I want everyone else to love it and look after it too. 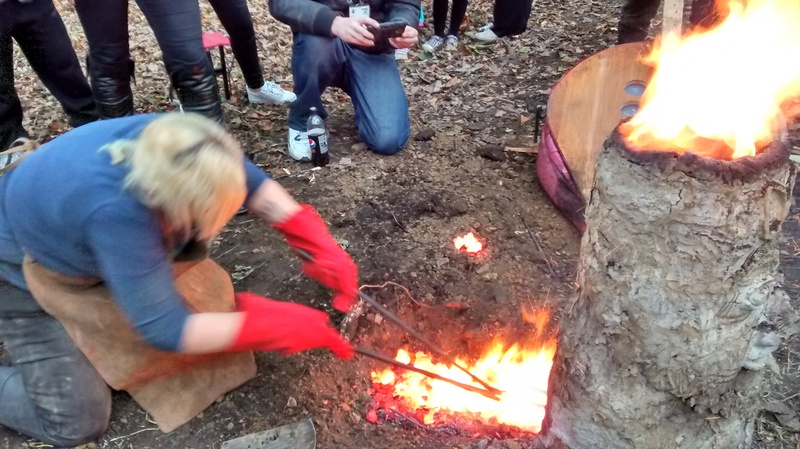 Photos from Half term – Smelting! Everyone works together to make the bricks to build the furnace. We discussed Chinese politics – we are a high brow lot! 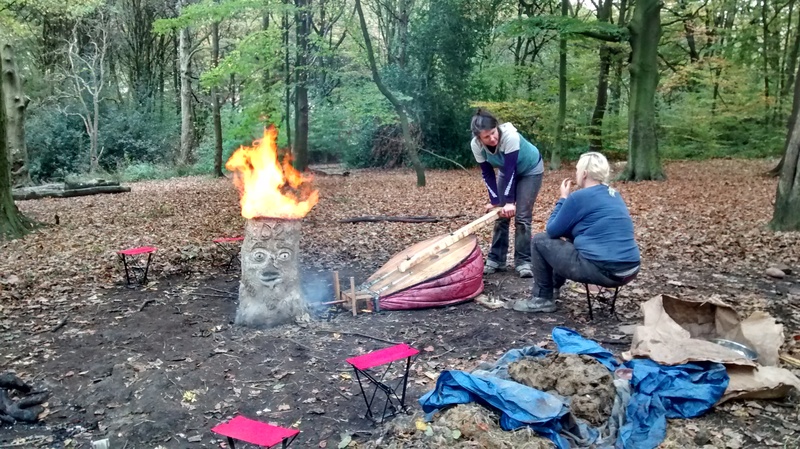 Building the furnace. This was Durrell One. Sadly she collapsed a bit later, so we built Durrell Two. 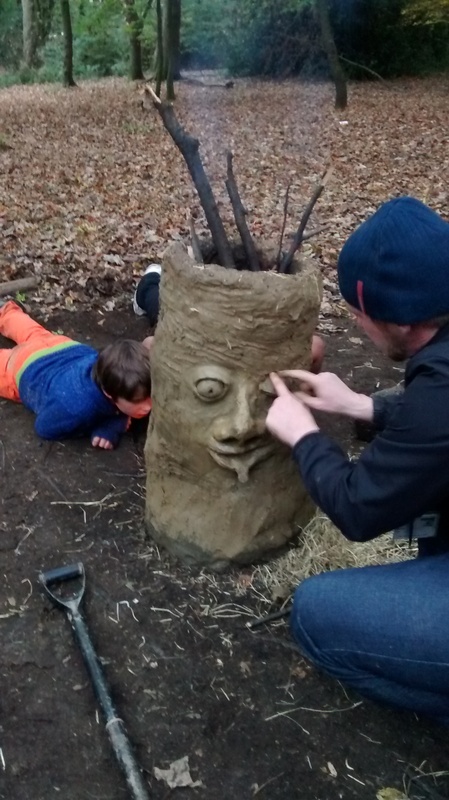 Durrell Two gets a face courtesy of Joe. 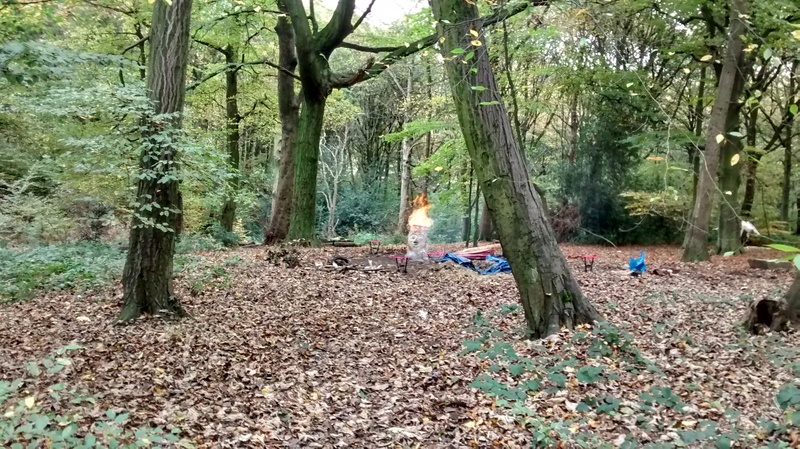 The fire we have lit to dry her out is monitored carefully. Sometimes with marshmallows. 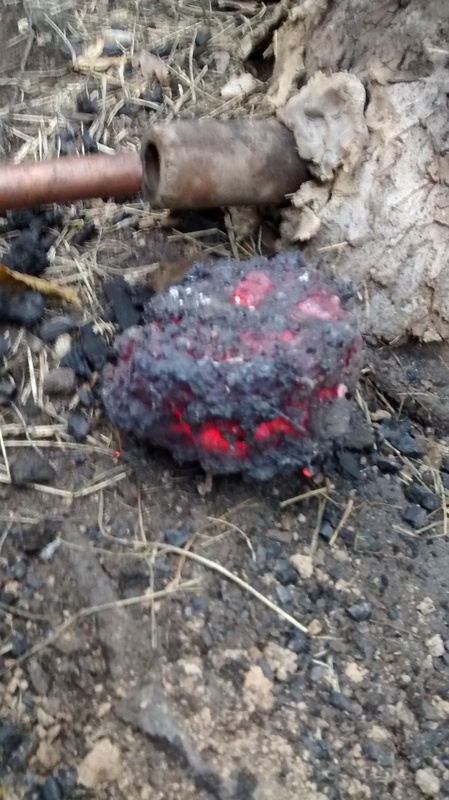 We add iron ore and charcoal. The bellows pump air into the furnace to get it up to 1250C, which is hot enough to turn the iron ore into metallic iron. Yvette seals the cracks that appear in the furnace. The bellows need to be worked for the whole day. Lunch on the Lost Gateway and a cat. 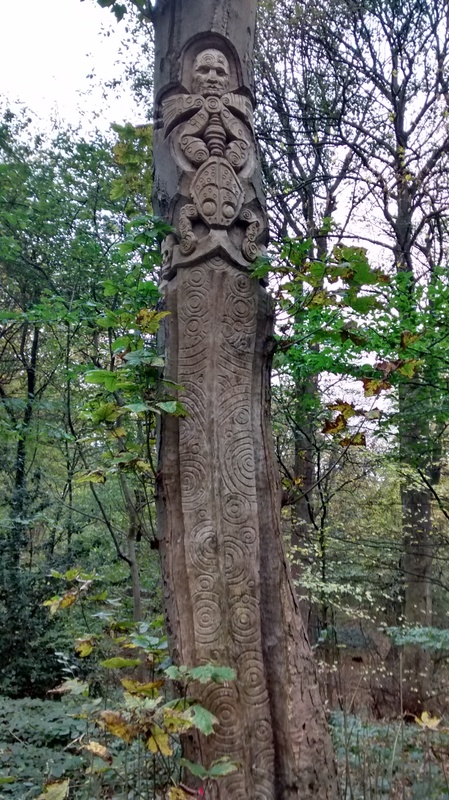 One of Jason Thomson’s sculptures nearby. Durrell Two in the woods. Yvette explains the tapping process. We are going to get the iron out of the furnace. Durrell Two gives birth to a lot of Iron! A large lump of Iron. Some of the most we have ever had! 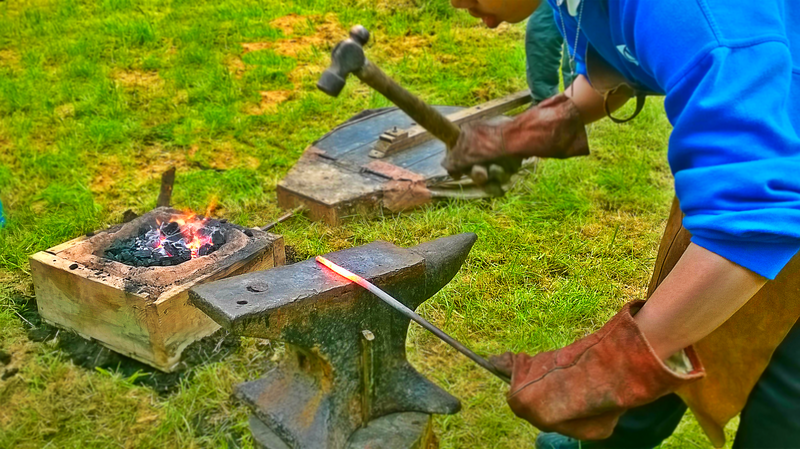 This will be worked with a forge and anvil at Light up the Hill on November 18th or the Bluebell Festival next May. Book Now! 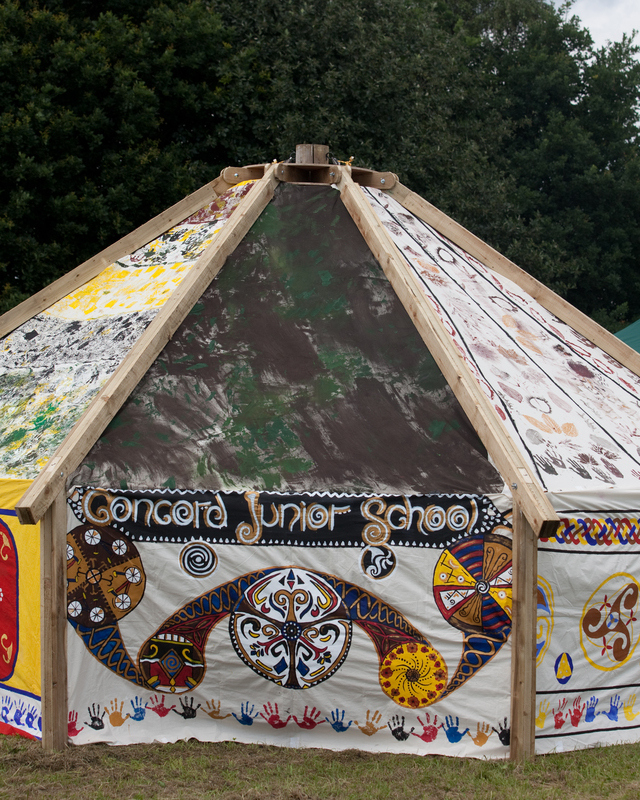 Free – open to young people aged 11-25. Interested in being creative? Come and join in! Free – just turn up! 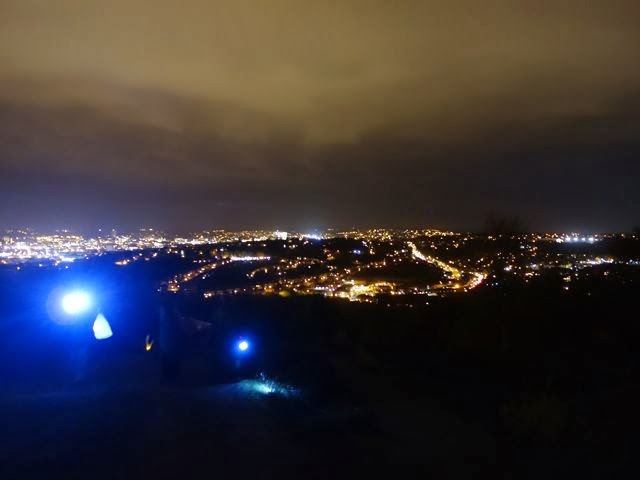 Come and help us Light up the Hill! 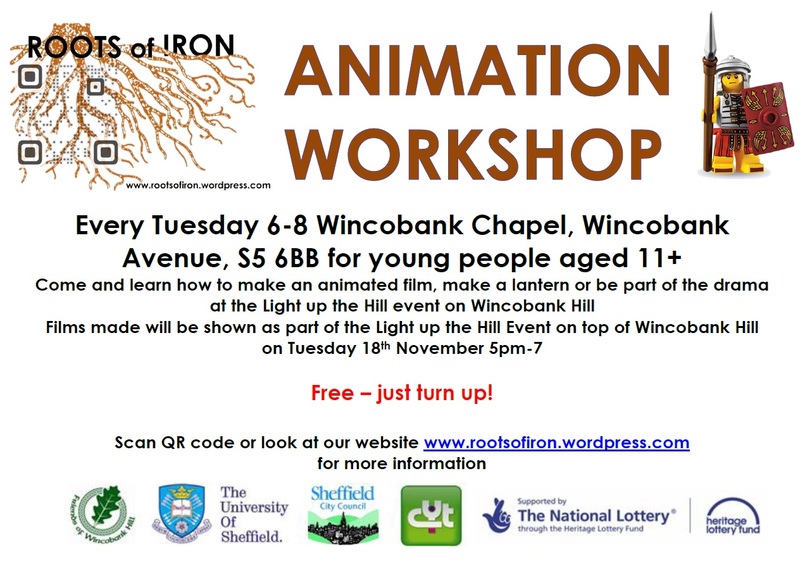 Roots of Iron will be joining the fun by working with young people to make a film or animation based on themes of Wincobank Hill through time. The film will be shown along with the drama as part of the event. There will also be opportunities to join in with the drama, and, of course, make some lanterns. The first session will take place on Tuesday 30th September at Wincobank Chapel at 6pm till 8pm. 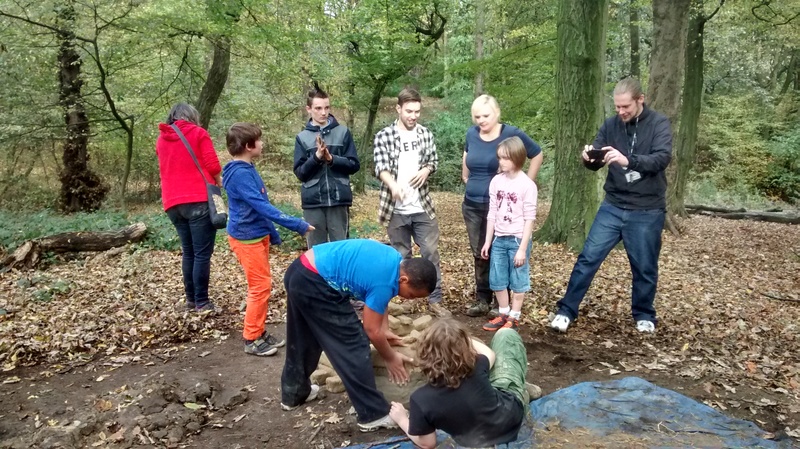 The sessions are free, and open to young people aged 11 -25. Watch this space for more information. 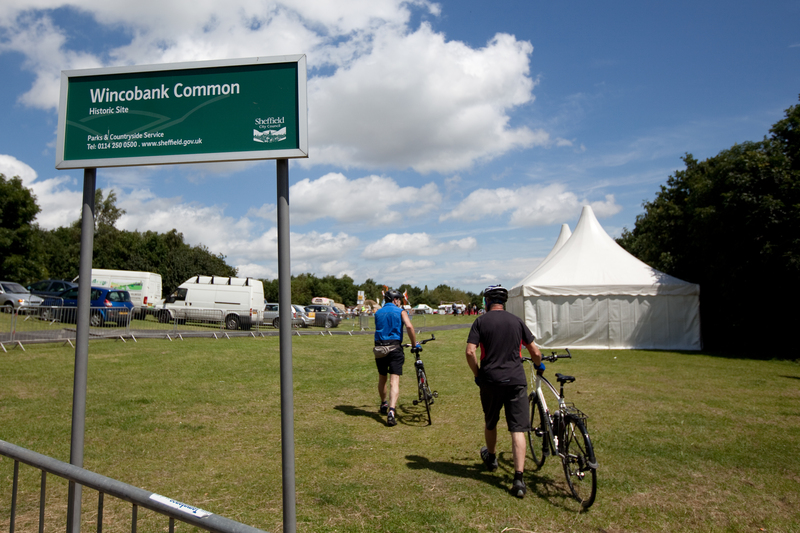 Wincobank Hill was in the international news when the world’s most famous cycle race; the Tour de France; picked Jenkin Road on the route of stage two. The road would turn out to be the steepest incline of the entire race, and ten of thousands of people gathered to watch the cyclist struggle up it. 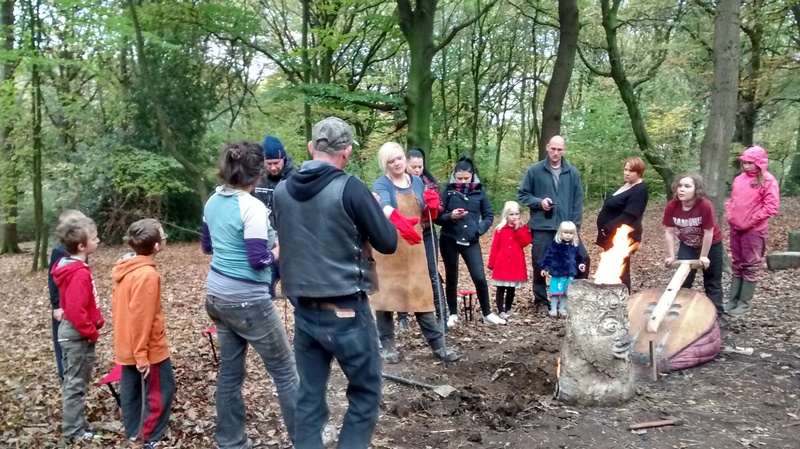 Roots of Iron celebrated the Hill by creating an Iron Age village. 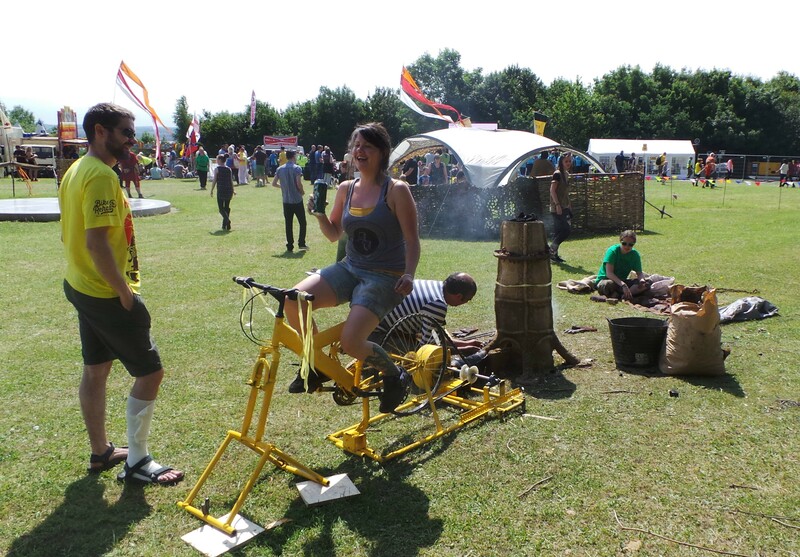 Roger and students from the University of Sheffield created the world’s first bicycle powered bloomery furnace, using clay from Woolley Woods and a bike that had been welded together (several times) in Roger’s garage. 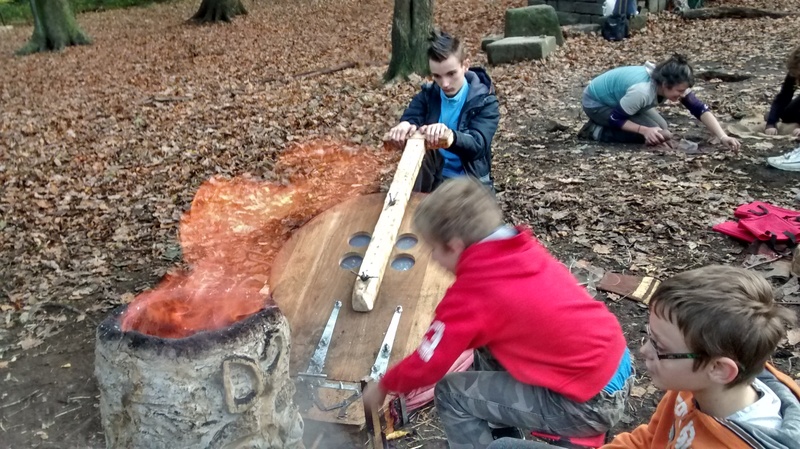 Local young people helped shape the furnace and pedal the bike to power the furnace. The Friends of Wincobank Hill, actors Chris Binns and John Overton helped provide the Celtic and Roman dramatics. 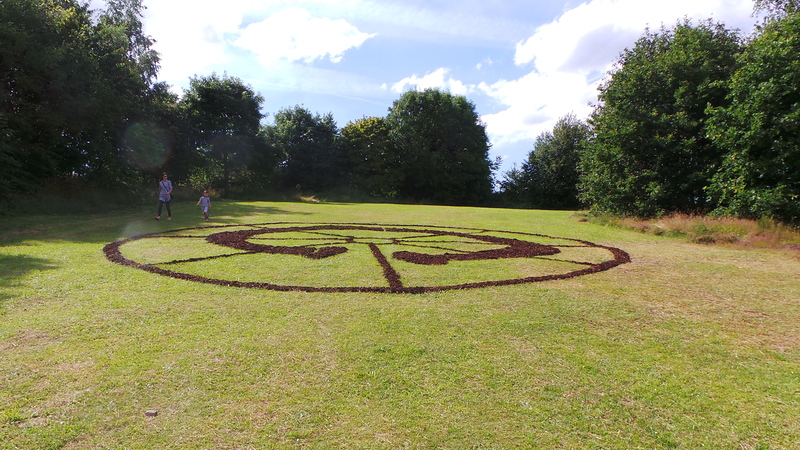 Local schools also contributed to the atmosphere having helped Heeley City Farm decorate their Iron Age roundhouse, and create a giant torque land art that could be viewed from the air. What is Roots of Iron? 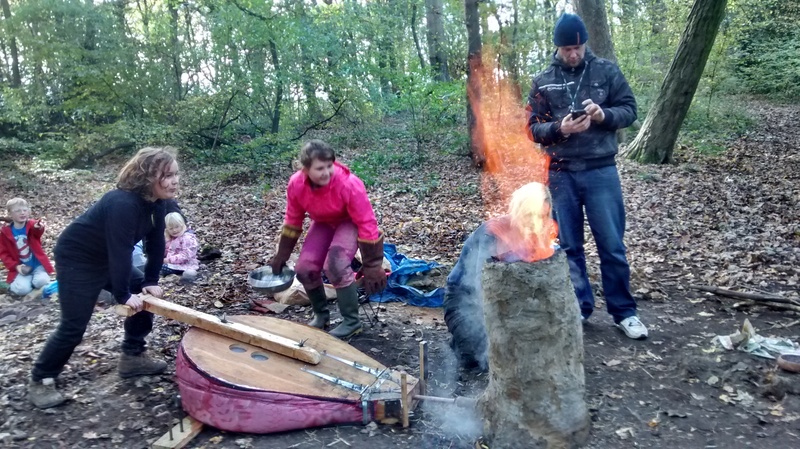 Have you ever wanted to have a go at working metal on a forge? Or wondered how they first extracted iron from the rocks of Sheffield? Or how the people that lived here 2500 years ago actually lived? 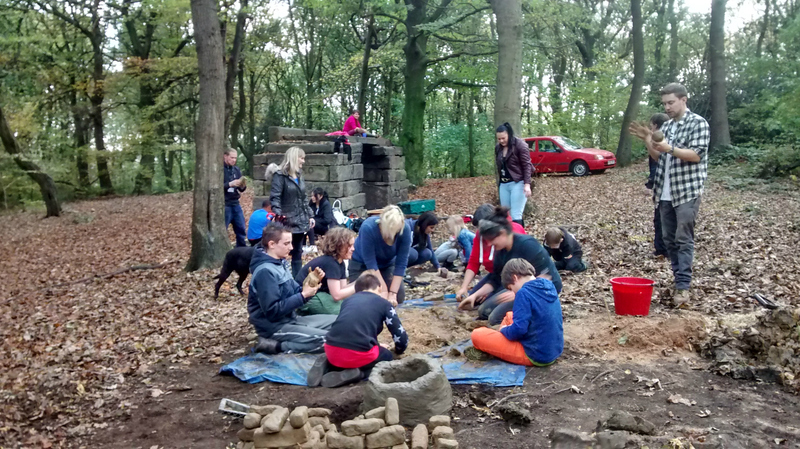 Roots of Iron is a project funded by the Heritage Lottery Fund for young people aged 11 – 25. 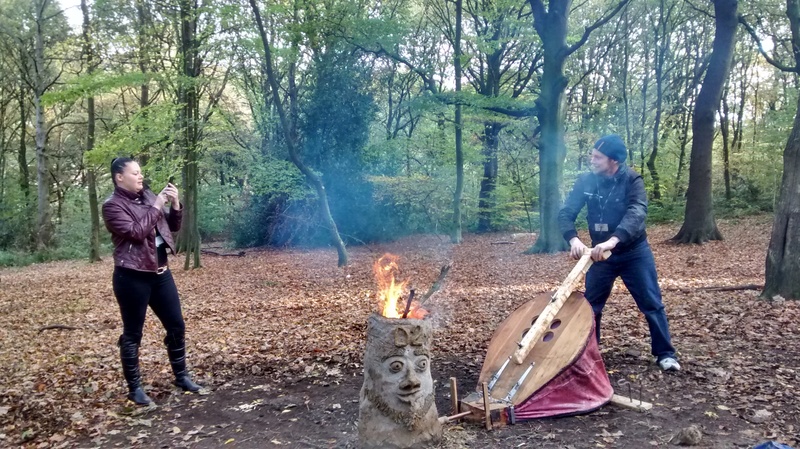 Based round yearly events that happen on Wincobank Hill and Woolley Woods, we will have a go at some of those ancient crafts, and find creative ways to share the ancient history with the rest of our community.